Both the roof and façade applications of Eleanor Boathouse incorporate architectural zinc cladding. 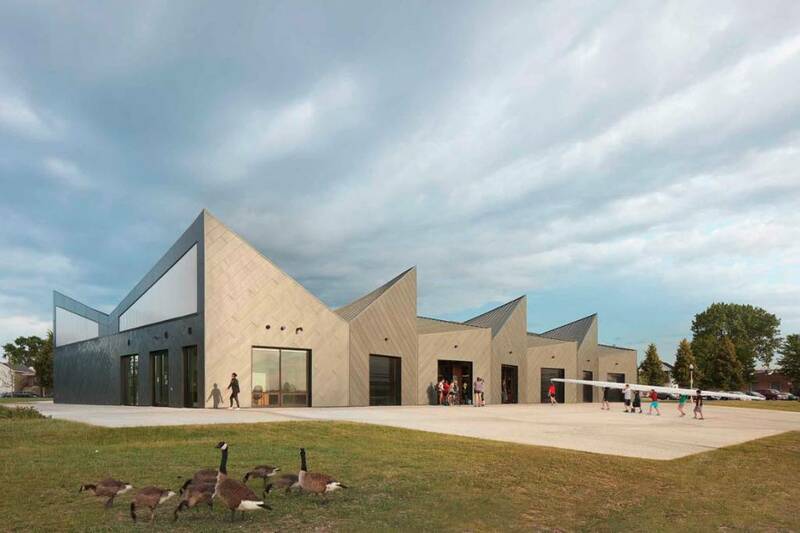 Eleanor Boathouse in Chicago’s Bridgeport neighborhood is the last of four new boathouses and river-launches developed by the city’s Park District to reclaim the long-neglected Chicago River as a major system of water-based recreation. 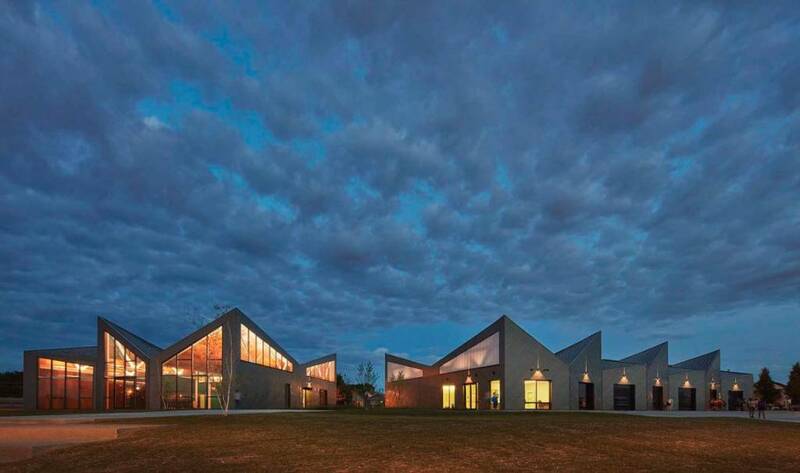 Diagonal paneling on the facility’s exterior walls creates visual interest. Eleanor Boathouse’s uneven, jutting form was designed to reflect the movement of rowing, with alternating roof trusses representing a rising oar’s rhythm and motion. Comprised of two buildings—a field house and a boat storage area—the 1765-m2 (19,000-sf) facility features cladding incorporating architectural zinc in both its roof and façade applications. A highly malleable material, zinc suited the structure’s unique shape, while also offering strength and longevity. Entirely recyclable, the material carries a potential lifespan of more than 100 years. The roof of Eleanor Boathouse is covered with approximately 2137 m2 (23,000 sf) of double-lock standing-seam zinc panels, while an additional 929 m2 (10,000 sf) of diagonally installed small-format rectangular zinc tiles were applied to the facility’s exterior walls.